Gretel’s life is turned upside down when her new brother Hansel arrives. He gets all the attention, the cuddles and the kisses and poor Gretel is told to ‘grow up’ and remember that she’s ‘a big girl now’! But Gretel doesn’t want to be big! And she doesn’t want the annoying little brother who’s too small to play. When Mother and Father take the children to the forest, Gretel has a chance to get rid of the little brother once and for all. But the forest is full of danger and Gretel will have to learn to get along with Hansel if they are both going to survive the adventure. 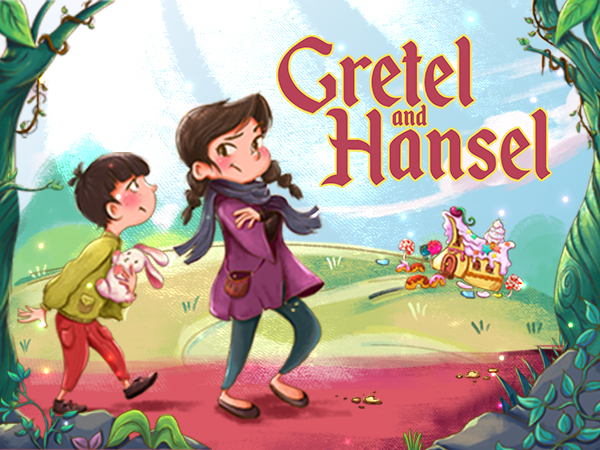 Based on the well-loved Brothers Grimm classic fairy tale, Gretel and Hansel is a heartfelt, humorous and exciting tale about sibling rivalry, family love, courage and understanding what it means to be a big sister! The two children become both characters and storytellers as they bring audiences on a thrilling and imaginative journey. Gretel and Hansel will help encourage children to work together, appreciate their siblings and understand the importance of family love.